Top 10 Ways to Rock Your Bridal Trial Like A Pro! Every stylist styles differently. You wouldn’t ask an oil painter to work with acrylic or a typist to work on paper… so please don’t ask your stylist to work on hair that isn’t prepped to their liking. Some like it wet, some like it dry, some like it clean, and some like it dirty. Let’s give them a proper canvas so they can work their magic! Stylists, even great ones, can’t read your mind. Bring photos of red carpet looks, other weddings, your friend’s ”When I Get Married” hairstyle Pinterest page, or even a picture of Aunt Mad’s second cousin’s kid last September at her friend’s gala. Bottom line – bring anything that will help give the stylist an idea of what you like, styles you lean towards, or how you hope to see yourself. Keep in mind they are just inspiration. No great stylist wants to give you Betty’s perfect look…they’d rather draw from inspiration and give you YOUR perfect look! Which leads us to the 2nd most important DO..
Knowing what you don’t like is so important. It gives your stylist an idea of what to avoid during your trial, and can narrow down the endless list of options from the get-go. If your stylist doesn’t start off by giving you something you already knew you didn’t like, it’ll comfort you and them that you’re on the path to finding that perfect look! The dress details, cut, fabric, neckline, and hemline can say so much. Let’s let it talk! If your key hole back is the statement, let’s not style your hair straight down your back. It’s just silly and sad for the dress. Truthfully. Tell them what components of each style you like and don’t like. Don’t like is the most important. Their goal is to make you happy, and each tweak will get you closer to your ideal wedding look. Be open to ideas! Just because you try it doesn’t mean you’re stuck with it. Your stylist may have some thoughts you’ve not considered, and who knows… it could end up being your favorite! …Unless you don’t mind basing your style on the hairpiece. You may end up loving a style that doesn’t compliment the piece you’ve purchased, leaving you in limbo Dream Style vs. Dream Hairpiece. Let’s play it safe and buy your accessories after to make sure it Loves the style you Love! Family and friends have a lot of opinions, and it’s great to listen. They see you in a way you don’t see yourself. That freckle on your forehead that drives you crazy… they don’t notice. Your left ear, peaked hairline, your profile nose…they’ll see a perfectly proportioned, GORGEOUS girl. As will your wedding guests! So their opinions matter… but so do yours. Your wedding is YOUR day – how you feel matters the most, and only you can say if you feel your most beautiful and comfortable. Try not to let your vote be overshadowed. 9. ENJOY YOURSELF…IT’S ALL ABOUT YOU! 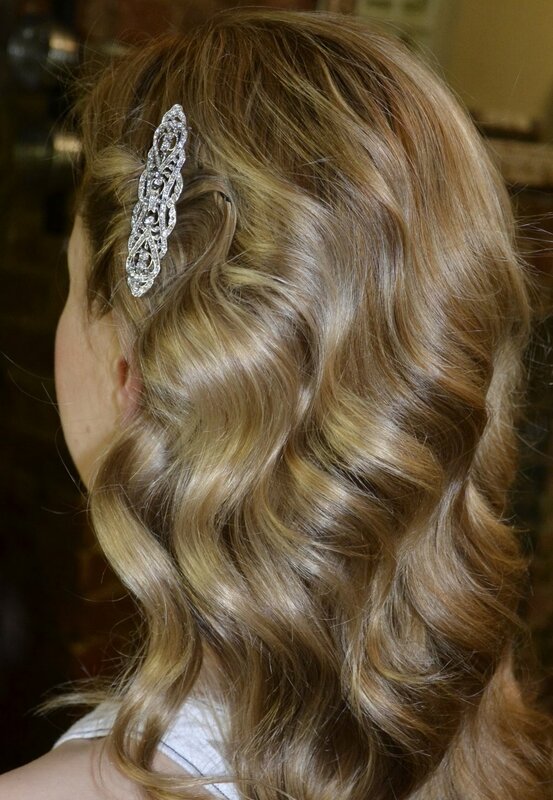 Your bridal hair trial is one of the many perks of the wedding process and is ALL ABOUT YOU!! When you arrive, kick back, relax, and take a break from the programs and seating charts. This is the FUN part! Why would you waste such beautiful hair? Your stylist is going to leave you looking great! At StylesOnB we make sure to give you one last style…your going out style! So make dinner reservations and Rock that Style!